It was 1973. Cinemas worldwide just opened their doors to show the film “Live and Let Die”, where Roger Moore for the first time played the part of James Bond, and Queen band released their first debut album. At the same time, on a remote and inaccessible island, a some unique whisky was born which today is distributed in as few as 250 bottles. 45 years spent maturing in an oak cask created a complex and abundant beverage which emanates the spirits of the 1970s. Jura 45 YO is the oldest whisky that is to leave the walls of a distillery and at the same time the oldest beverage in its warehouses. It will be released to the market as single cask and cask strength. 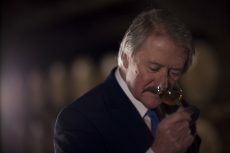 The cask for this edition was selected – especially for this project – by Richard Paterson – great character of the whisky world. Such a unique beverage will surely satisfy every connoisseurs of the Scotch drink. Indisputable expert with over 50 years of experience in the whisky industry. Master Blender at the Dalmore distillery. He devoted his entire life to the production of whisky and the promotion of Scottish drinks around the world. “The most inaccessible place on earth” – this is how George Orwell – the author of one of the most famed novels of the 20th century: “1984” – referred to this island. Though Jura is located only 60 miles in a straight line from Glasgow, it is not often for this distance to be so difficult to cover. A small, rocky island surrounded by a stormy sea forms a landscape where only around 200 inhabitants live in a few small settlements along a single street. 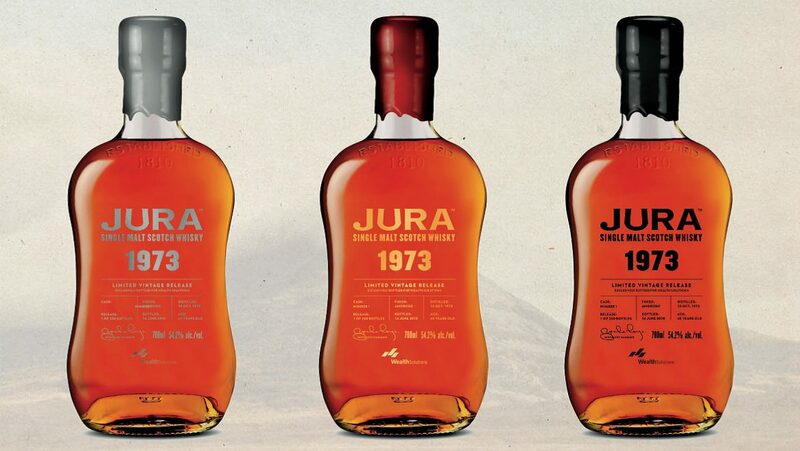 The first official whisky production plant was established on Jura in 1810. The hardships of existence in such an inaccessible place made the life of not only the few inhabitants but also the only production plant located there a misery. After many years the plant was forced to close down its production. But in 1963 the fire was lit again within the walls of the distillery, and fresh distillate flowed from the stills. The whisky manufactured here today is well known worldwide for its unique profile and breaking of the moulds. The Paps of Jura are three mountains on Jura that dominate its landscape. The first is called Beinn an Òir in Gaelic, or the Golden Mountain. The name of the second one is Beinn Shiantaidh which can be translated into English as a Sacred Mountain. The third is referred to as Beinn a’Chaolais, or the Jingling Mountain. Together with the distillery they form a symbol of the whole island and define its unique character. The three series of which this edition is composed refer to them. I agree to process my personal data on the terms specified in the regulations.